Saddam Hussein Abd al-Majid al-Tikriti, (April 28, 1937 – December 30, 2006), was the President of Iraq from July 16, 1979, until April 9, 2003. Readers would be wondering why this article on Saddam Hussein is posted in myrelaxplace. Myrelaxplace is to offer readers a place to rest their mind with some funny anecdotes, interesting articles, etc. Nevertheless, this deviation of style is justified in view of the immensity of this event. The execution of Saddam Hussein affects almost everyone in the world today as we all live under the shadow of terrorism, bigotry, violence and imperialism. When these evils are not eradicated, there is no peace and no space to relax. As the quotations above indicate, people perceive events from their own perspectives and interests. “Saddam Hussein’s execution by masked hangmen” are the hottest search words currently. Many people ‘google’ the Internet for news, pictures and movie clips about Saddam Hussein. Are they merely curious, angry, sympathetic, full of hatred or upset? Does Saddam’s death mean the world or Iraq will enjoy peace now? Over a hundred thousand US soldiers are still deployed in Iraq to battle insurgency and civil fighting among the Sunnis and Shiites. The US President, George Bush, is milling about sending more. Does Saddam’s death make any difference? Terrorist bombings and fear are still happening anywhere and everywhere. Does Saddam deserve the punishment imposed on him? Saddam has ruthlessly killed tens of thousands of civilians more brutally than he himself had been executed. Is the US the savior of the Iraqi people? The capture of Saddam Hussein three years ago was a jubilant moment for the White House, hailed by President George W. Bush in a televised address from the Cabinet Room. The execution seemed hardly to inspire the same sentiment. Since his arrest, Saddam had gradually faded from view, save for his courtroom outbursts and writing from prison. The growing chaos and violence in Iraq has steadily overshadowed the torturous rule of Saddam, who for more than two decades held a unique place in the politics and psyche of the United States, a symbol of the manifestation of evil in the Middle East. 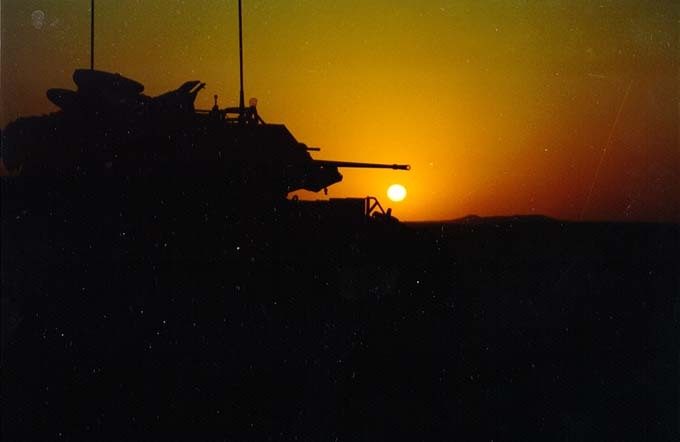 Now, what could have been a triumphal book end to the American invasion of Iraq has instead been dampened by the grim reality of conditions on the ground there. 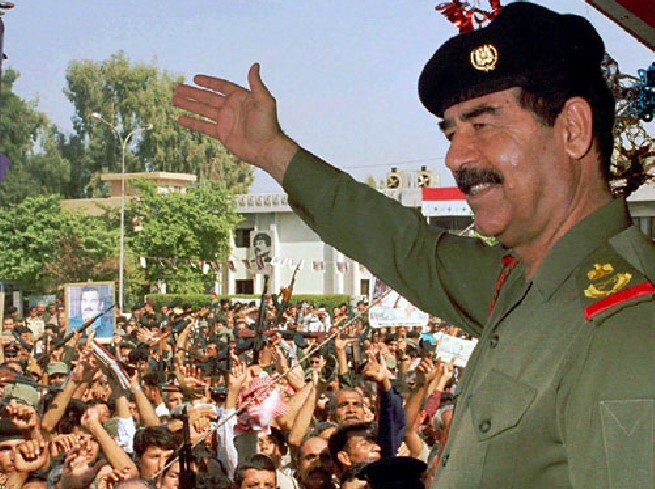 A chapter in Iraq has closed with the hanging of Saddam Hussein. But will tomorrow hold for today’s Iraq? 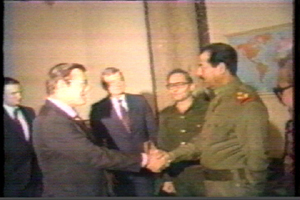 Shaking Hands: Iraqi President Saddam Hussein greets Donald Rumsfeld, then special envoy of President Ronald Reagan, in Baghdad on December 20, 1983. The US is also the financier of Saddam’s party, the Baath Party. And the US sold weapons amounting to US$1.5 billion to Iraq by 1990 when Iraq was headed by a US-backed leader. Saddam led Iraq as head of the Ba’ath Party, kept the country unified, practiced one-party rule, censorship, instigated violence against Iraq’s Shia, Kurdish, and Marsh Arab populations. He also espoused secular pan-Arabism, economic modernization, and Arab socialism. 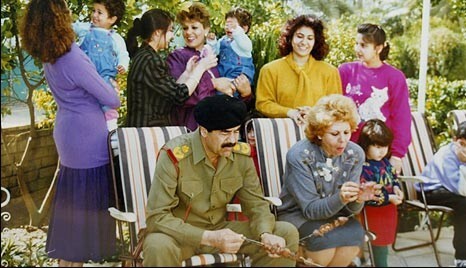 Saddam married Sajida Talfah who is the daughter of Khairallah Talfah, Hussein’s uncle and mentor in 1963. This was an arranged marriage. The two were married in Egypt during Saddam’s exile. Together they had two sons, Uday and Qusay, and three daughters, Rana, Raghad and Hala. Both Hussein’s two sons Uday and Qusay, were killed in a violent six hour gun battle against U.S. forces on July 22, 2003. Hussein also married two other women: Samira Shahbandar , whom he married in 1986 after forcing her husband to divorce her, and Nidal al-Hamdani, the general manager of the Solar Energy Research Center in the Council of Scientific Research, whose husband was apparently also persuaded to divorce his wife. 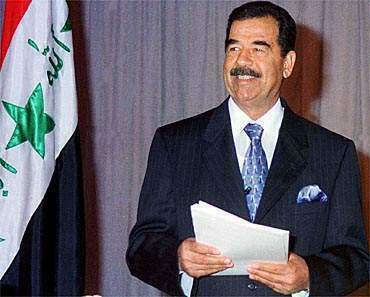 Held in custody by U.S. forces at Camp Cropper in Baghdad, on June 30, 2004, Saddam Hussein and eleven senior Ba’athist officials were handed over legally (though not physically) to the interim Iraqi government to stand trial for war crimes, crimes against humanity, and genocide. A few weeks later, he was charged by the Special Tribunal with crimes committed against the inhabitants of Dujail in 1982, following a failed assassination attempt against him. Specific charges included the murder of 148 people, torture of women and children and the illegal arrest of 399 others. 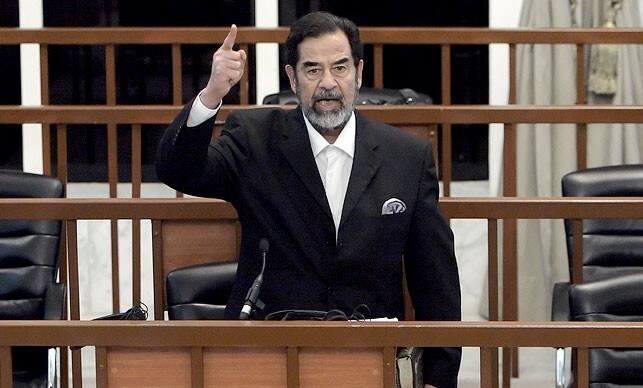 On November 5, 2006, Saddam Hussein was found guilty of crimes against humanity and sentenced to death by hanging. Hussein’s half brother, Barzan Ibrahim, and Awad Hamed al-Bandar, head of Iraq’s Revolutionary Court in 1982, were convicted of similar charges as well. Verdict and sentencing were both appealed but subsequently affirmed by Iraq’s Supreme Court of Appeals. Just twenty-five days later, the sentence was delivered with Hussein being executed by hanging on December 30, 2006. Click here for Saddam Hussein Hanging and Execution Video Clips. This entry was posted on Thursday, January 4th, 2007 at 10:27 am	and is filed under Interesting Stuff. You can leave a response, or trackback from your own site. One Response to "Is Saddam Hussein Dead? – The Fate of Iraqis in Tomorrow’s Iraq"